Poland is a Schengen country with a lot to keep its visitors amused. Cities, like Warsaw, are rich in culture and it’s great to spend the day discovering the museums or wandering through its old town. 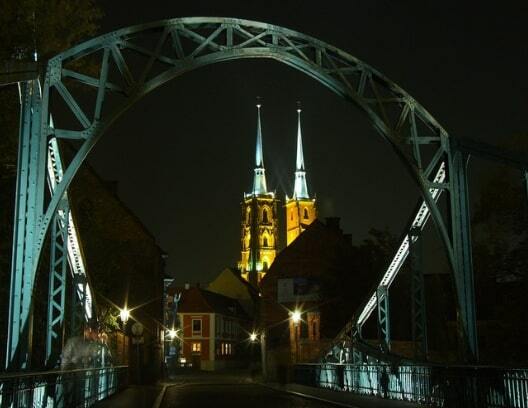 Wroclaw has a vibrant center and its bridges are perfect subjects for avid photographers. The countryside is unspoilt and you’ll find beautiful forests, mountains, and lakes with opportunities for bird watching, cycling, or hiking. In this article learn more about how to apply for Poland visa at the Polish embassy in Washington, DC, Poland visa appointment booking, Processing time at the Poland visa application center, flight itinerary for Poland visa, hotel bookings for Poland visa, Schengen travel insurance for Poland visa application, and Poland Visa Application Process at the Washington DC embassy. 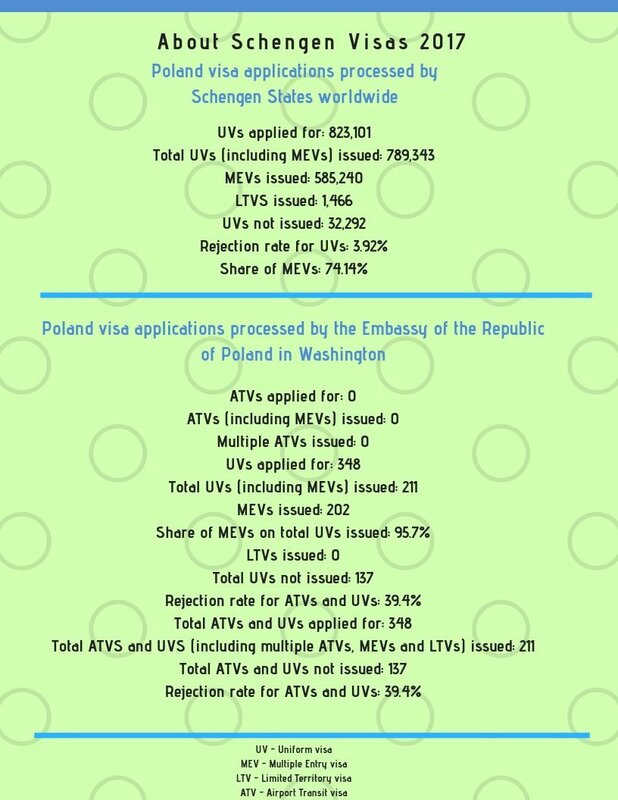 In 2027, 823,101 Poland Schengen visas were received by all of the embassies and consulates around the world. 3.92% of them were refused. 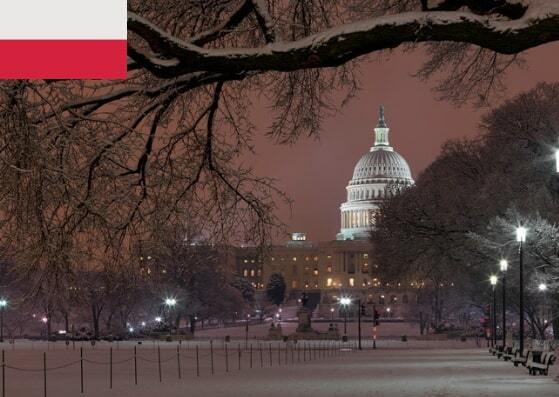 The Embassy of the Republic of Poland in Washington DC received 348 applications and rejected 137 of them (39.4%). If you are a non-US citizen but you live in the United States on a permanent basis, you need to apply for a visa if you wish to travel to Poland. 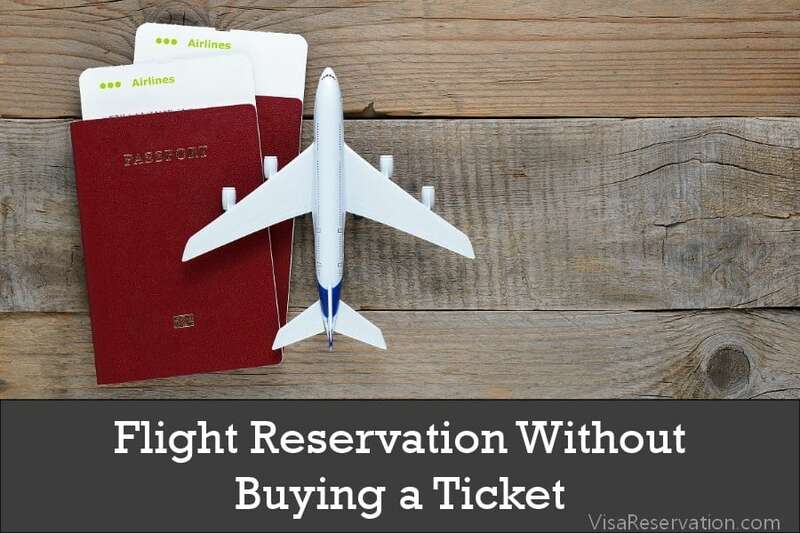 However, you must hold a valid visa or residence card and you must be able to prove your residency status. Each if the visa missions for Poland in the US looks after residents within its consular jurisdiction, so if you live in Alabama, the District of Columbia, Florida, Georgia, Kentucky, Maryland, North Carolina, South Carolina, Tennessee, Virginia, West Virginia, Puerto Rico, the American Virgin Islands, the Commonwealth of The Bahamas, Guam, or the Commonwealth of the Northern Mariana Islands, you may apply at the Embassy of the Republic of Poland in Washington DC. Schengen visas are usually issued as single, double, or multiple entry which relates to the number of times you can enter the country during the dates of the visa. National visas are issued as single or multiple entry. The embassy takes around 15 days to process visa applications, but some cases could take longer. It is your responsibility to apply on time. You can apply up to 90 days before your intended travel dates, so apply well in advance to allow for your application to be processed. It’s a good idea to take a look at the embassy’s website to understand what you need to do and how to go about applying. If you fail to comply with the requirements, your application could be rejected. To help you apply for your Poland visa, here a few steps to follow. When you have made your appointment, you will be able to complete your application form online too. Please note, you need to complete the application form within 1 hour of making your appointment. If you don’t do this, the appointment will be cancelled and you’ll have to start again. You need to submit a hard copy of the electronically registered, completed, dated and signed application form, so make sure you print it at the end. You will also receive an email with a PDF copy of the application form within 24 hours of you registering it on the system. Make sure you get all the necessary documents together for your visa application. Different visas require different documents, so it’s a good idea to have a look before you begin. 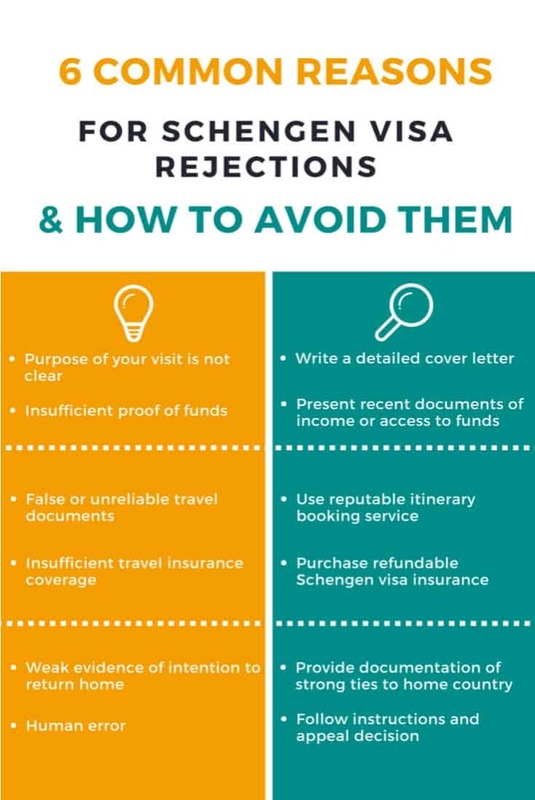 You can find the list of requirements for Schengen visas and National visas on the embassy’s website. You also need to provide originals AND photocopies of everything, so don’t forget to do this. Are you meeting anyone in Poland? If they ask you anything, just answer politely and honestly. They are only trying to gain all the facts in order to make a decision about your visa. You will also pay the fee for your visa. This can be paid for in cash, cashier’s check or money order payable to the Embassy of Poland. Please note, regardless of the outcome of your visa application, this fee will NOT be refunded to you. If this is your first time applying for a visa for Poland, you will have to provide a fingerprint scan and a digital photograph to be stored on the Visa Information System (VIS). Then, all you need to do is to get ready for your exciting adventure in Poland!